PHOENIX (AP) — Roger Goodell got it right. NFL fans rarely feel that way. Right now, they should. Many times, perhaps most of the time, the NFL commissioner is doing the bidding of the owners. That’s led to plenty of criticism of Goodell when it’s the guys who run the 32 franchises who deserve more bad reviews than he does. When it comes to league probes, the NFL so often has fallen short — Ray Rice, Kareem Hunt, Saints bounties — that Goodell takes the arrows rather than the investigators who should be blamed. And yes, there are instances, particularly when it comes to handing out discipline, in which Goodell is the correct target. So when the guy uses his power for the good of the game, for the players, the coaches and, indeed, the fans, then praise is due. Two months after one of the most embarrassing moments of his regime — or that of any other commissioner — Goodell pretty much made sure a deeply necessary change to the rules was passed. Don’t underestimate the significance of the addition of pass interference, whether flagged or not, to the video review officiating system. Such calls and non-calls now can be challenged by coaches and reviewed by officials. It was passed for one season, by the astounding margin of 31-1. It almost certainly is here to stay, and Goodell is a major reason. A short-shared view among fans, especially those in the Big Easy, has been that an egregious missed call in the NFC championship game cost the New Orleans Saints a trip to the Super Bowl. Their case was strengthened by this decision. Yet, in a way, this is a more important victory for the Who Dats and for all pro football fans. The sport has become so fast, so complex and so wide open that the officials struggle to keep up. Even worse, technology is so advanced that the errors made in real time become exacerbated when examined in the close-up, super-slow motion shots available to viewers. The NFL needed a leap forward like this. Indeed, it’s more like a long Drew Brees to Michael Thomas touchdown pass than an Alvin Kamara run for a first down. Both plays move the ball, but the TD throw can be an instant game changer. Credit Goodell for laying down the law to get the video review rules enhanced. Also credit Saints coach Sean Payton, who helped lead the charge to progress not only because he was the victimized guy with the head set on the sideline for the blown call, but for catalyzing the movement. 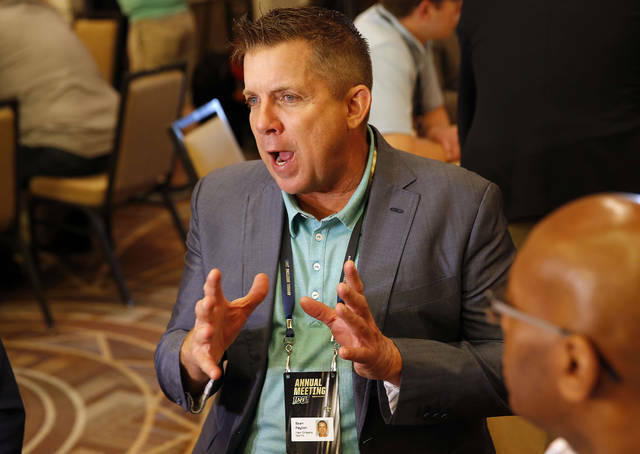 “There were just a lot of great healthy discussions about our game,” said Payton, along with Pittsburgh’s Mike Tomlin the only coaches on the powerful competition committee that recommends rule adjustments. “When you are on this committee there is a little bit of a responsibility just to the game and football fans in general.